Please contact me regarding the 2018 Isuzu NPR-HD Gas - Stock# JS812024 for sale at TruckerToTrucker.com. Take a look at this 2018 Isuzu NPR-HD Gas. It is Stock# JS812024 at TruckerToTrucker.com. 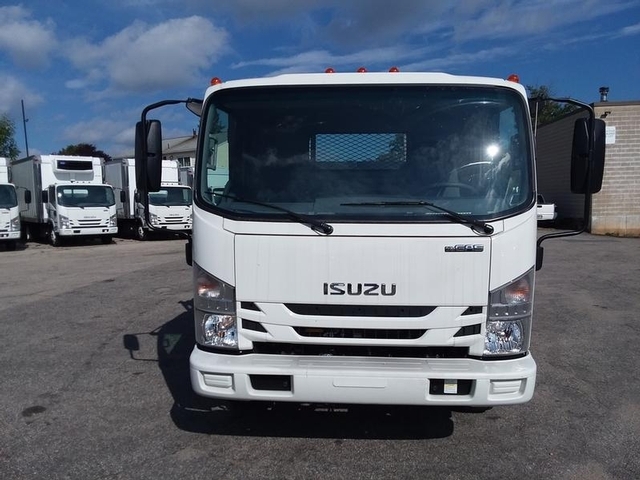 , 2017 Isuzu Trucks NPR-HD Regular Cab 150.0"WBFeatures may include:All diesel models meet EPA 2010 and California Air Resources Board HD-OBD emissions standards and are clean-idle certified. Isuzu N-Series diesel trucks are also the first in their class to offer Selective Catalytic Reduction (SCR) technology with Diesel Exhaust Fluid (DEF).Wheelbase ChoicesTrucks with wheelbases from 109 to 212 inches can accommodate bodies ranging from 10 to 24 feet in length.Clean, Powerful and Efficient Truck EnginesIsuzu diesel engines can run up to 10,000 miles between oil changes, minimizing downtime for maintenance.State-of-the-Art SCR TechnologyTogether with an enhanced exhaust gas recirculation (EGR) system and variable-geometry turbocharger, SCR technology allows all diesel Isuzu N-Series trucks to meet the demanding emissions standards.